We’ll make your broken iphone look like new again, and it only takes 60 minutes. We are Southampton’s leading iphone repair service. All our iphone repairs are covered by our six month warranty. We are half the price of the Apple store and provide the same excellent service. with 6 MONTH WARRANTY. The repair process takes about an hour and we always have screens in stock. Drop in or post your iphone to us and we’ll resolve the problem for you. Your iPhone 6S+ will be back to its beautiful self before you know it. We offer a top quality service using our fully equipped workshop, by our professionally trained staff. with 6 MONTH WARRANTY. The repair process takes about an hour and we always have screens in stock. Drop in or post your iphone to us and we’ll resolve the problem for you. Your iPhone 6S will be back to its beautiful self before you know it. We offer a top quality service using our fully equipped workshop, by our professionally trained staff. with 6 MONTH WARRANTY. The repair process takes about an hour and we always have screens in stock. Drop in or post your iphone to us and we’ll resolve the problem for you. Your iPhone 6+ will be back to its beautiful self before you know it. We offer a top quality service using our fully equipped workshop, by our professionally trained staff. with 6 MONTH WARRANTY. The repair process takes about an hour and we always have screens in stock. Drop in or post your iphone to us and we’ll resolve the problem for you. Your iPhone 6 will be back to its beautiful self before you know it. We offer a top quality service using our fully equipped workshop, by our professionally trained staff. with 6 MONTH WARRANTY. The repair process takes about an hour and we always have screens in stock. Drop in or post your iphone to us and we’ll resolve the problem for you. Your iPhone 5s or iPhone 5c will be up and running and as good as new in no time. We offer a top quality service using our fully equipped workshop, by our professionally trained staff. with 6 MONTH WARRANTY. The repair process takes about an hour and we always have screens in stock. Drop in or post your iphone to us and we’ll resolve the problem for you. Your iPhone 5 will be up and running and as good as new in no time. We offer a top quality service using our fully equipped workshop, by our professionally trained staff. IPHONE 4/4S – broken screen SALE!!! with 6 MONTH WARRANTY. The repair process takes about an hour and we always have screens in stock. Drop in or post your iphone to us and we’ll resolve the problem for you. Your iPhone will be up and running and as good as new in no time. We offer a top quality service using our fully equipped workshop, by our professionally trained staff. The mechanism in an iphone home button can sometimes fail which will require replacement. To replace the home button requires a complete disassembly of the phone. We can repair your iphone home button in about an hour and it’s only £44.99. Don’t forget that we offer a six month warranty on repairs so you can rest assured that if the same problem reoccurs then will repair it free of charge. To replace the power button requires a complete disassembly of the phone. We can repair your iphone power button in an hour and it’s only £44.99. Don’t forget that we offer a six month warranty on repairs so you can rest assured that if the same problem reoccurs then will repair it free of charge. We can fix this problem on your iphone and it won’t cost the earth. Drop in or post your iPhone to us and we’ll resolve the problem for only £44.99. You iPhone will be up and running and as good as new in no time. It’s a less common problem but occasionally the LCD in your iphone can fail or get broken. You sit down with your iphone in your pocket and crack the screen breaks and you can no longer read anything. Don’t worry we’ve got the tools and skills to fix your problem. Drop in your iPhone and we’ll replace the screen for only £49.99. Your phone will be as good as new. The mechanism in an iphone home button can sometimes fail which will require replacement. To replace the home button requires a complete disassembly of the phone. We can repair your iphone home button in an hour and it’s only £49.99. Don’t forget that we offer a six month warranty on repairs so you can rest assured that if the same problem reoccurs then will repair it free of charge. Rocket Repairs have nearly 20 years experience fixing computers and electronic equipment, we can resolve just about any iPhone, iPod & ipad problem. All our repairs are done at a fixed rate. And if we are unable to fix then you pay nothing at all. Bring your iPhone in to our workshop in the centre of Southampton and allow our engineers to diagnose the problem, we’ll then tell you exactly how much it is going to cost to repair your broken iPhone. 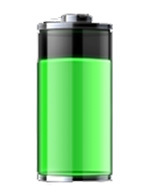 If your iPhone needs a new battery then we can supply and install a new iPhone battery no problem. Our service doesn’t end their! We’ll give your iPhone the once over to make sure everything else is ok.
We replace iPhone screens on a regular basis. If you have managed to break your iPhone screen then don’t worry. 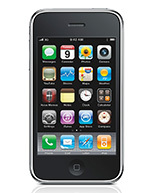 We supply replacement iPhone screens for iPhone 3, iPhone 3G, iPhone 3GS & iPhone 4. 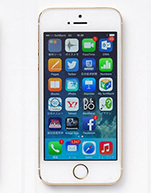 Please give us a call so that we can provide a quotation for your replacement iPhone screen. We also repair laptop screens from as little as £60. We can replace your iPhone camera. 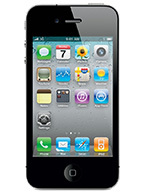 The iPhone 4 has two cameras, if necessary we can repair both cameras in your iPhone 4. We also offer part-exchange discounts on new computer systems. If your iPhone is beyond economical repair then we can provide you a discount off a new iPhone. 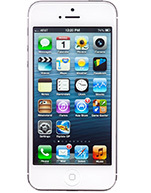 Our iPhone repair service is great value, we can repair all iPhones from iPhone 3 onwards. I dropped my iPhone, the screen is OK but nothing happens when I switch it on. How much is it going to cost? Let us have a look. Something may have worked its way loose inside. We can disassemble your iPhone and check all internal connectors. If we can’t find the source of the problem then we charge you nothing.